Te reo Māori (the Maori language) is deemed an official taonga (treasure) in our country, guaranteed protection under the Treaty of Waitangi, and is one of the three official languages of New Zealand, the other two being English and New Zealand Sign Language. It is central to our school curriculum and Farm Girl’s school, Nova Montessori, amalgamate it into their programme seamlessly, with respect. 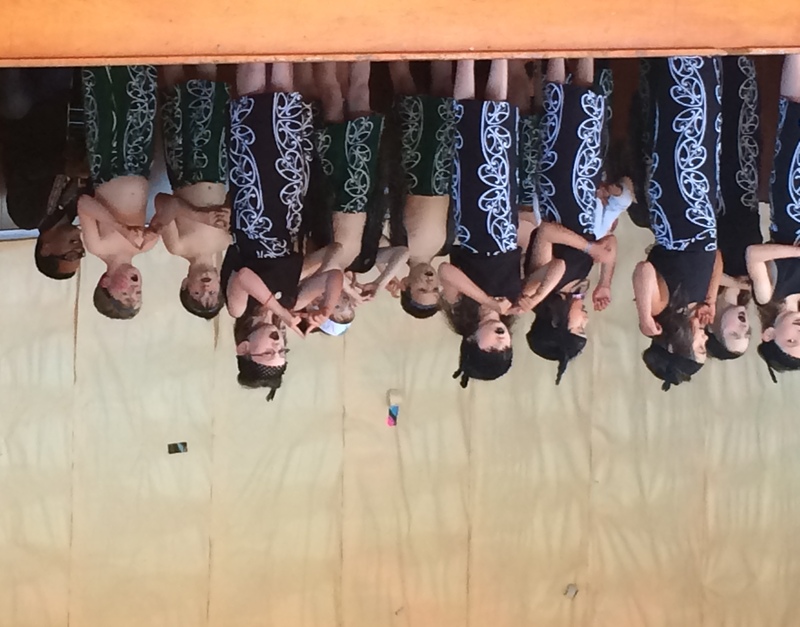 Tonight we Homesteaders had the awesome treat of watching one of our number performing in her first ever Kapa Haka (literal translation: line dance; Maori concert party). The culmination of two terms studying Maoritanga (Maori culture, practices and beliefs) under the watchful eye of Matua Sunny (Farm Girl adores him), tonight’s concert has been the cause of a great deal of excitement and not a few nervous, fluttery tummy moments. In the lead up to this, the big night, a tipare (head band) had been crafted, waiata (songs) practiced (but behind closed doors; we wouldn’t want to ruin the surprise) and the appropriate dress sought. The waiata were sung honestly and with enjoyment , the actions well learnt, and the pronunciation was confident and comfortable. The evening oozed respect; mutual respect between the school and the culture, the instructor and his pupils. It all makes us feel incredibly positive about the future, because we reckon it’s the respect of our differences and the understanding that, at the end of the day, we’re all the same is the key to a better world. Aroha (love, respect, literally: mindbreath) to you all. 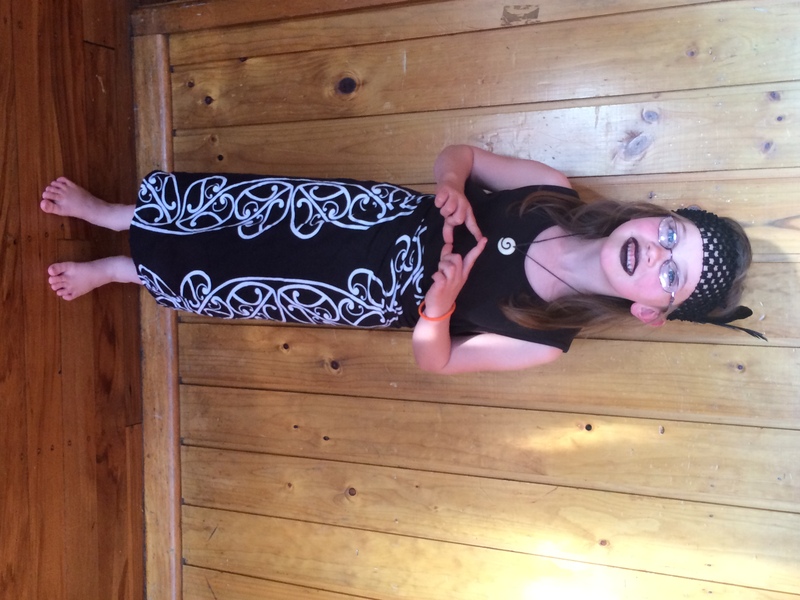 This entry was posted in community, Union Homestead and tagged Aotearoa, aroha, Christchurch, kapa haka, mana, maori, maoritanga, NaBloPoMo, New Brighton, New Zealand, Otautahi, performance, respect, tangata whenua, te reo. Bookmark the permalink. What a wonderful evening that must have been. Farm Girl looks fantastic, though I’m fascinated by the black lips. We spent an evening at this place: http://www.tamakimaorivillage.co.nz/ and I don’t remember if they had coloured their lips or not. I will have to go back through photos and see. How interesting that NZ Sign Language is one of your official languages. Will Farm Girl be learning that as well? We said Kia Ora quite often when were in NZ, but that’s about the extent of my ability to speak the Maori language. In Canada we have two official languages, English and French, reflecting the origins of the primary groups of immigrants who came here. There is very little attempt to include language or culture study of local indigenous groups – it seems to be done only a district by district basis, and entirely optional. The local language is Sencoten (senCHOthin), of the Salish people, and it almost disappeared. The First Nations are working very hard to restore their cultures and languages after a century and more of misguided attempts at forced assimilation by the dominant English settlers. I think the black lipstick was to represent the moko or facial tattoos which included tattooed lips. We used to live about 10 minutes down the road from Tamaki Village in Rotorua, a place where moko is pretty commonplace. Here in Christchurch, as you no doubtably noticed, the spirit of the English settlers is still very much in evidence and moko are pretty thin on the ground. Farm Girl already has a very basic knowledge of NZ Sign Language, again thanks to Nova. No quietly about it…tell that girl from us that she looks GORGEOUS. All very interesting, I have never seen a Kapa Haka done other than by Maori people before, I would liked to have there with you. Congratulations to Farm Girl..
By the way thank you for making the text much clearer, I found it difficult to reard before. It’s incredibly heartening to see everyone included in learning and performing Maori from the newest citizens through to those who can trace their ancestors back to the waka (canoes) that initially settled Aotearoa/New Zealand. This is the only way we can keep the heritage, the thing that defines New Zealand, alive. We’re so glad you found our text easier to read this time. We’re getting there slowly, but surely. I too enjoyed the punchier text…..and the whole post.